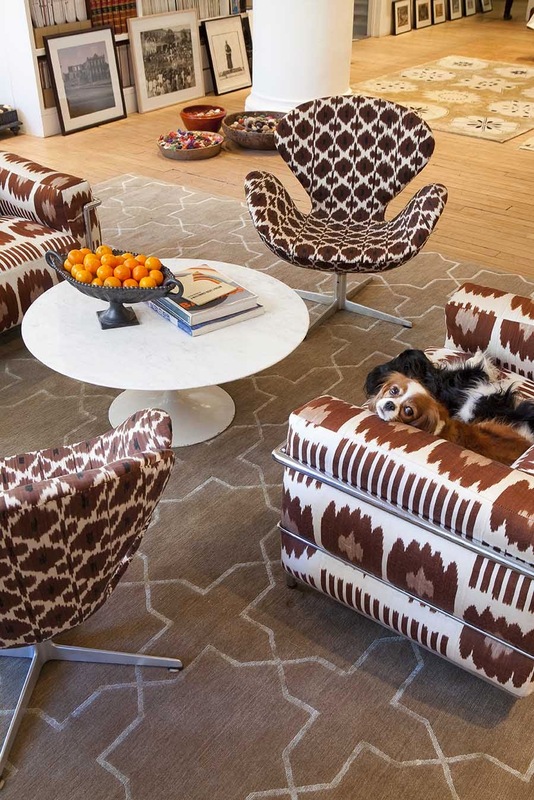 Madeline Weinrib, whose iconic handwoven fabrics, and graphic rugs are must-have design moves, opens in the San Francisco Design District, April 2014. Madeline Weinrib has just inked an agreement for a large and handsome new showroom at The Galleria of the San Francisco Design Center, and THE STYLE SALONISTE readers are the first to know. I’m so excited about Madeline’s new showroom. 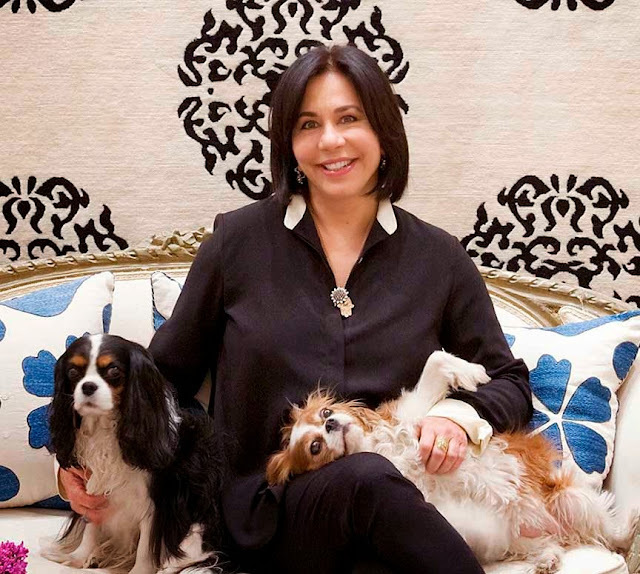 She’s admired around the world as the trend-setting designer of chic rugs and textiles. Her exceptionally beautiful fabrics elevate the everyday, and her graphic rugs give interiors distinction and pizzazz. 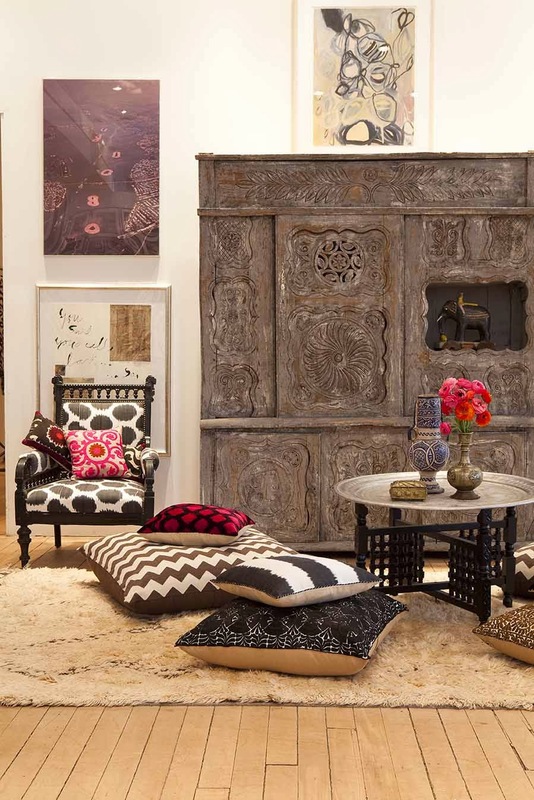 Madeline's pillows and fabrics paired with an antique Scandinavian chest, Moroccan tea table, and art by Madeline Weinrib (top) and Rene Ricard. 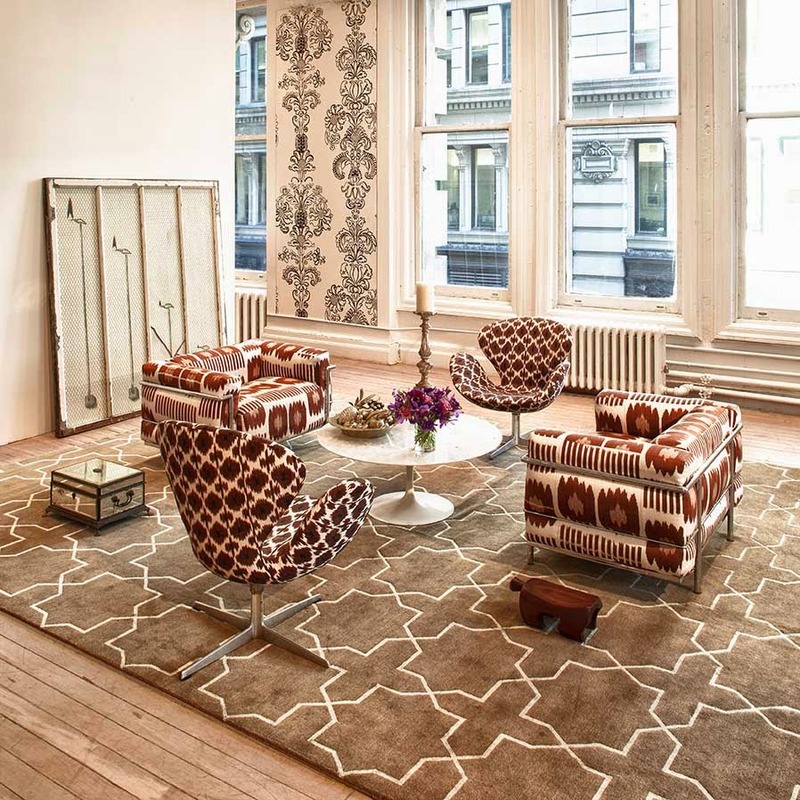 In her new showroom, Madeline will provide professional services such as one-of-a-kind designs and colors that were previously only available in her downtown New York studio. Join me for a chat with Madeline, and see her newest designs. 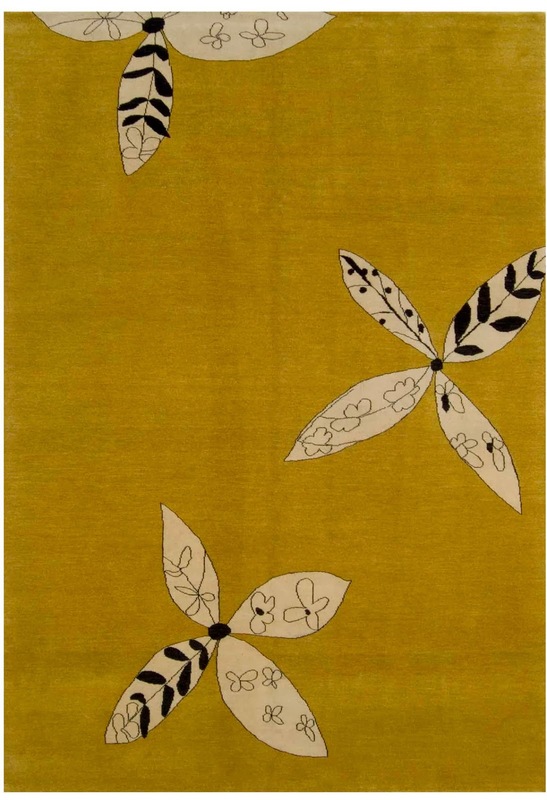 I first met her in Jaipur, India, where she designs handcrafted rugs. I’ve gathered ‘all about Madeline’ from an insider perspective. And I’m introducing her new collection I love…that will become a new standard for her line. Come and see what’s new. 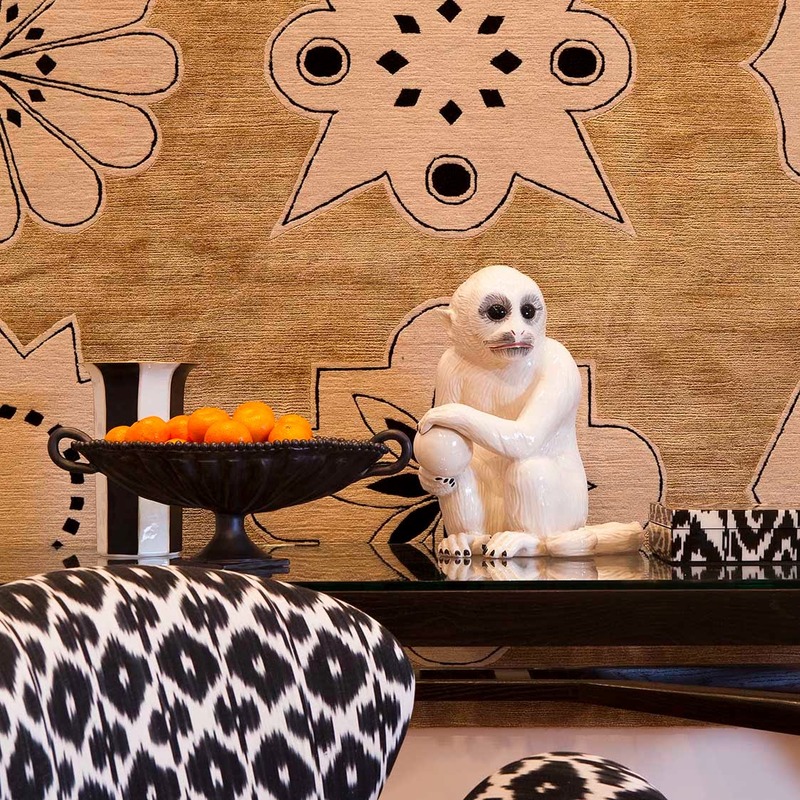 Madeline Weinrib’s spacious and light-filled studio in New York has been a precious resource for designers. There, designers and clients can see the full range of designs, throw rugs on the floor, walk on them, walk around them, feel them and ‘road-test’ them. 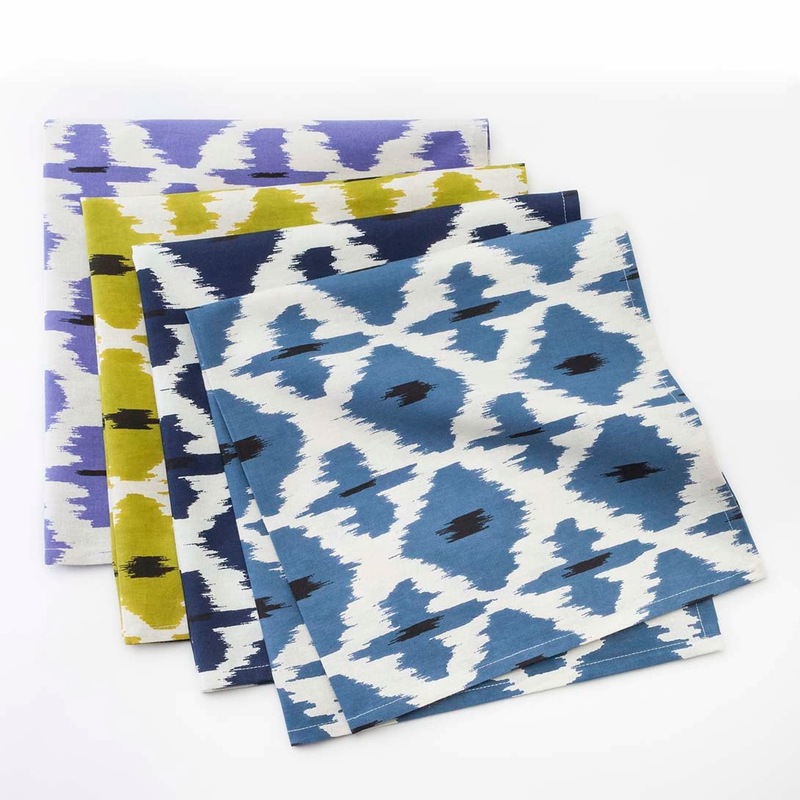 The full range of wool color samples, on view in New York, will be on show in San Francisco where designers can come and learn about the techniques involved in weaving her famous Ikat textiles, as well as seeing her newest concepts (silver threads, antique suzani pillows, vintage silk velvet pillows), and samples. Now, these same exclusive services will be available in San Francisco. 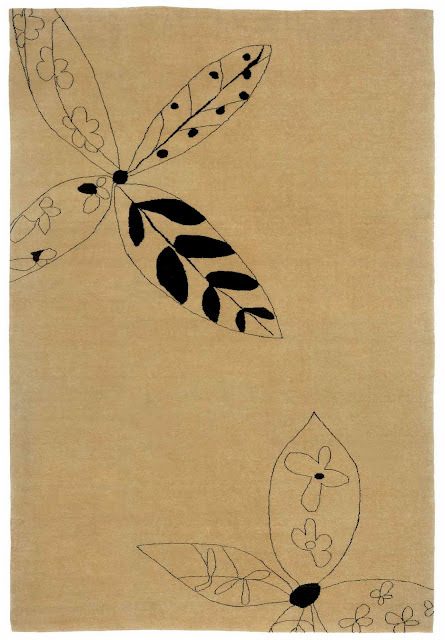 I’ve gathered images of Madeline’s Climbers & Ramblers rugs. 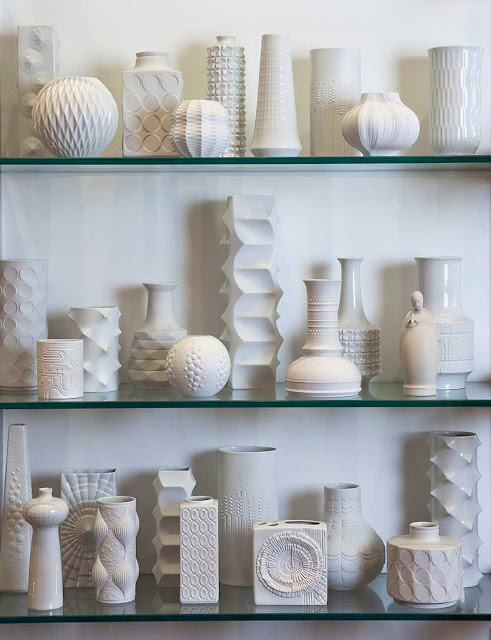 It’s a collection she first presented in 2006—but it seems to have been overlooked somewhat as more new designs were introduced. I find it exceptional. I love the abstract patterns of the Climbers & Ramblers series, and I think it is time to rediscover it. 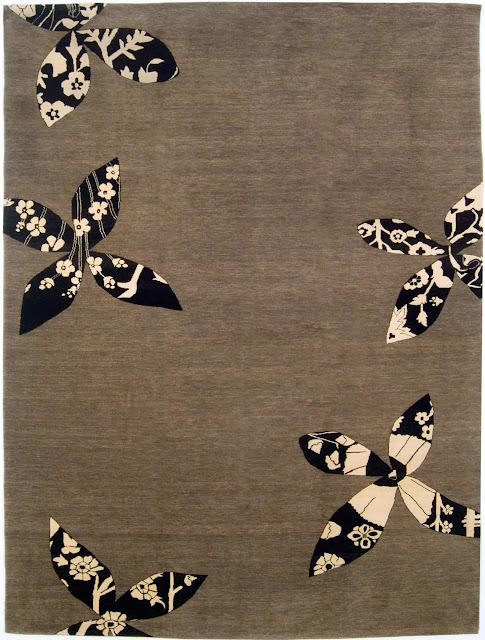 For the free-form patterns, she used calligraphic curves, sumi ink and arabesque outlines that suggest Japanese organic forms and reference leaves and flowers in the subtle language of nature. 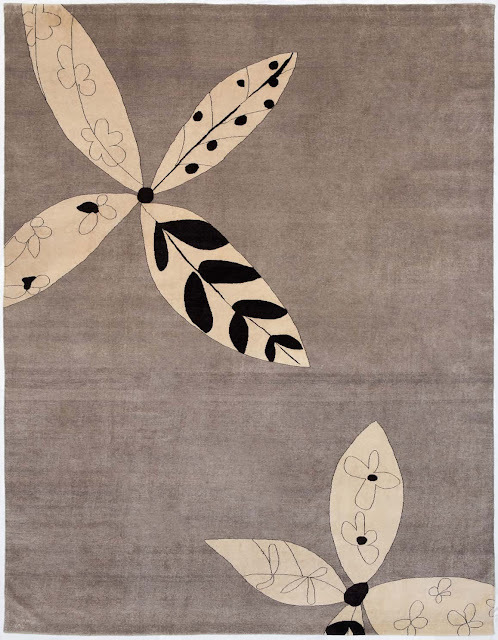 Her stylization in Climbers & Ramblers consists of attenuated and delicate motifs in abstract flourishes, using compositional devices and a delicious and deft light touch. These are timeless designs, at once modern and elegantly classical. Come and learn more about Madeline, her approach to designing chic rugs and classic/modern textiles. DDS: You have always been a painter. What was your original design motive and inspiration when you founded your company? MW: I fell in love with an antique Tibetan carpet with a traditional design of a checkerboard. As an artist at that time, I was working on a series of drawings and sketches on craft paper and the designs on the checkerboard corresponded to the color of my paper and charcoal. That's when I realized I could transfer my ideas to a different surface with a different set of values. I designed my first collection. 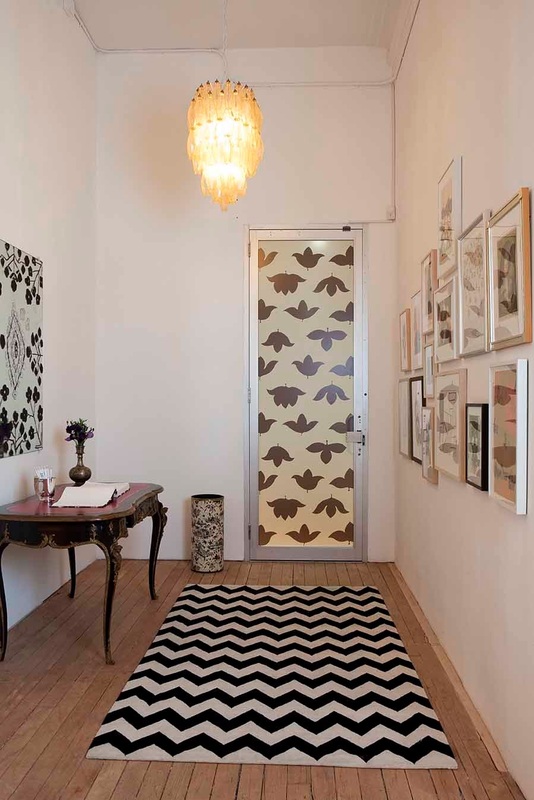 DDS: Your designs can be read as both very modern and quite traditionial. MW: I'm very pleased that you noticed that in my work. When I started working in textiles that was something I wanted to achieve. I designed concepts that would be contemporary and speak of its own time, but if it were a really strong design, it would work well in other environments. Great design should have flexibility. 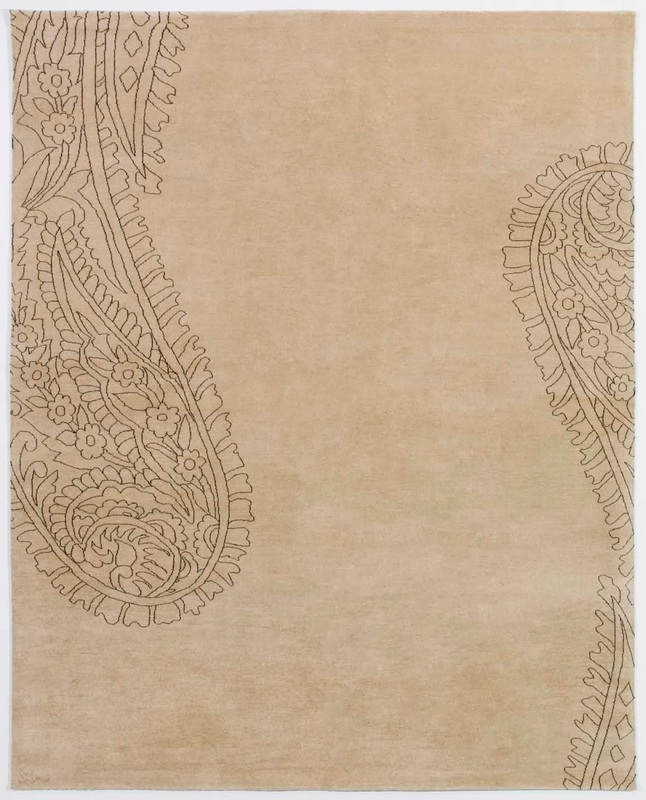 Using traditional motifs that have been simplified and pared to their essence has allowed me to achieve this duality. DDS: When did you start designing your exclusive textiles? MW: I started making textiles about ten years ago. I meet a lot of interesting people through my travels, including a woman working in Uzbekistan helping to resurrect the art of Ikat weaving. I wanted to produce Ikats using my own palette and designs. It took a long time, but it has really taken off. 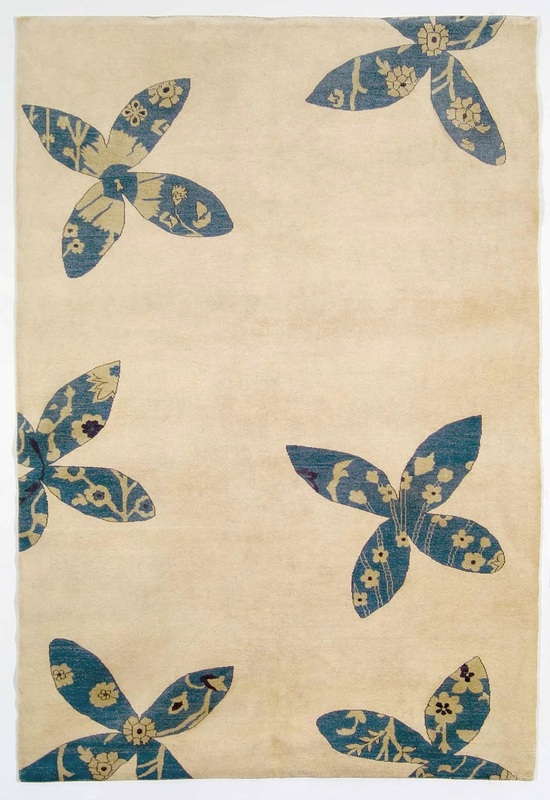 I do the same thing with suzani textiles, and they are even harder to develop, but they look very beautiful. Two years ago, I started developing a hand-woven brocade. At this time, I can only make 14 yards per month. It’s rare and exquisite. DDS: Now you're developing a line of organic cotton block print textiles. MW: I started creating this collection in India a year ago and it has been steadily growing. I am broadening my color palette and have some gorgeous base colors that are all naturally made. 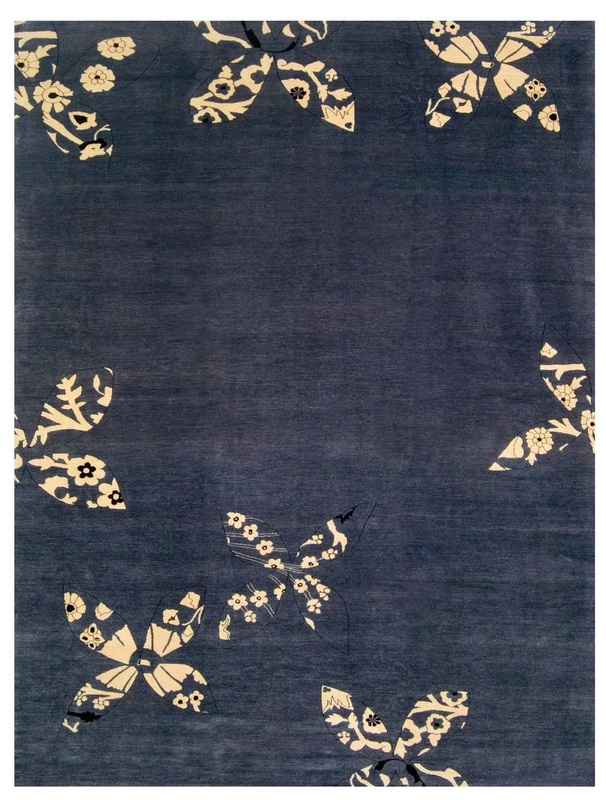 In particular, I love the new indigo that I think will take off and have a life of its own. There's also a beautiful a saffron color. Ironically, I wasn't interested in this color five years ago, now I love it. DDS: What is the most inspiring aspect of your work? MW: Travel is inspiring and I meet talented and fascinating people throughout the world. For me, and for my staff, the most rewarding moment is when the new designs finally arrive in New York after the long process of development. It is thrilling when the finished product finally comes to fruition and feels beautiful. It takes such a long time so the gratification is very delayed. DDS: You have a great rapport with your Indian carpet weavers! You also work in other countries. 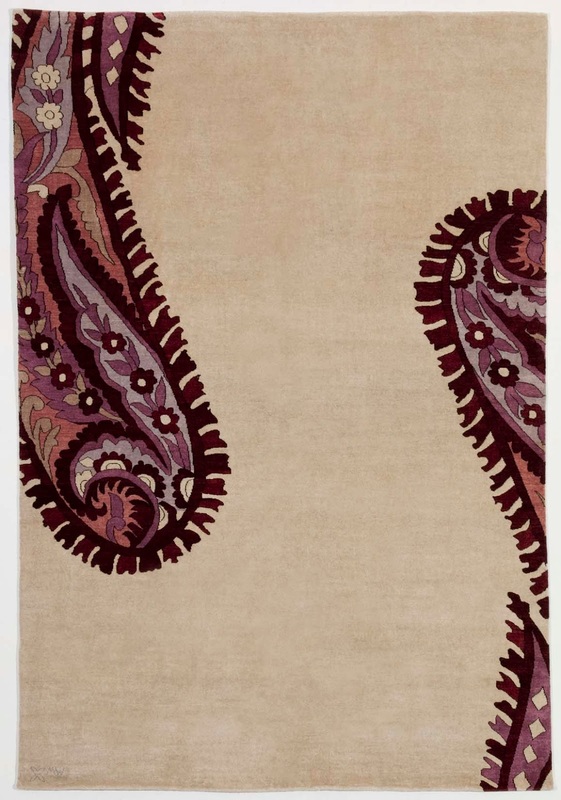 MW: In addition to India, I also make carpets in Pakistan, Nepal, Turkey and Morocco. Each country produces a different weave and a different aesthetic and I'm very fond of all the people that I work with. My designs are very much rooted in a sense of place and possess a truth to origins, which I love. And naturally they are all ethically produced, and the work is done by specialists who’ve been weaving fine carpets for decades. It’s exciting to see these highly experienced weavers creating their magic. All of my rugs are handcrafted. 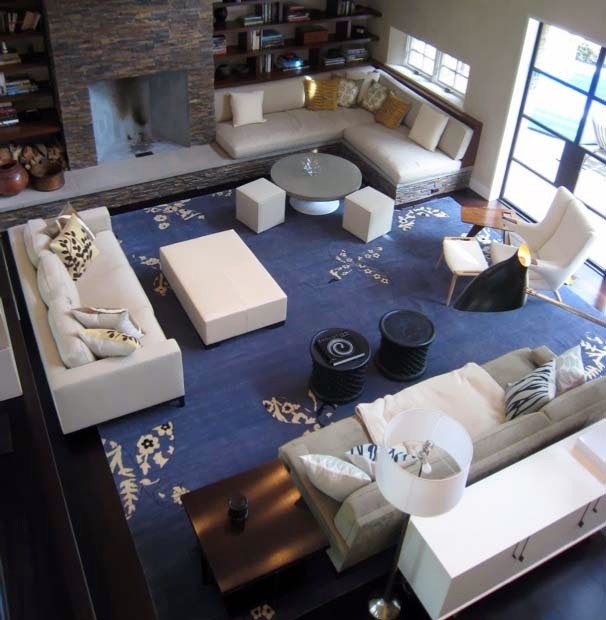 DDS: Not many people know that you also work closely with designers and private individuals on custom designs. 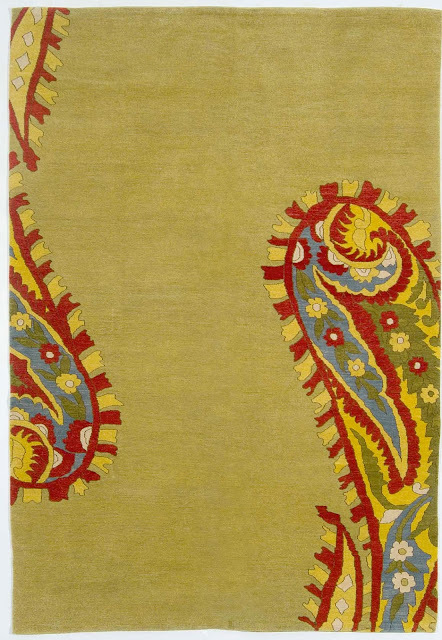 MW: I recently finished a great rug collaboration with the Neue Galerie, the wonderful Fifth Avenue museum in New York City for German and Austrian art. The director, Renee Price, invited me to design a carpet that was inspired by the aesthetic of Wiener Werkstatte. The carpet I created is now available at their design shop and online through their website, www.neuegalerie.org. This was a wonderful project--I traveled to Vienna to visit the Wiener Werkstatte archive for my research. I have a partnership with Flor to design a commercial carpet for BAM (the Brooklyn Academy of Music) another of my favorite cultural institutions. The design had to be durable, yet also resonate with BAM's progressive and avant-garde ethos. The floor tiles I designed specifically for the space translated beautifully and really transformed this old, historic building. Flor will be producing this carpet and it will be available on their website. 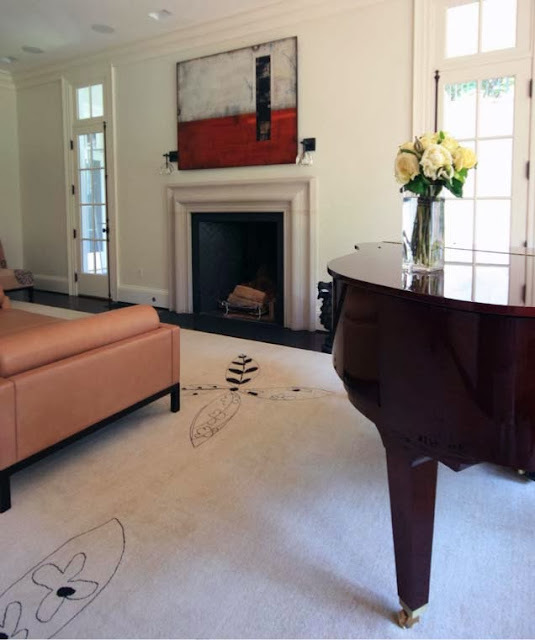 An established painter, she exhibited throughout the 1990s and taught drawing at CUNY before designing her first carpet collection for ABC Carpet & Home in 1997. Inspired by the challenge of translating painterly ideals to warp and weft, Madeline sensed an opportunity to carve out a new niche and to redefine what was at the time a conservative, ancient idiom. 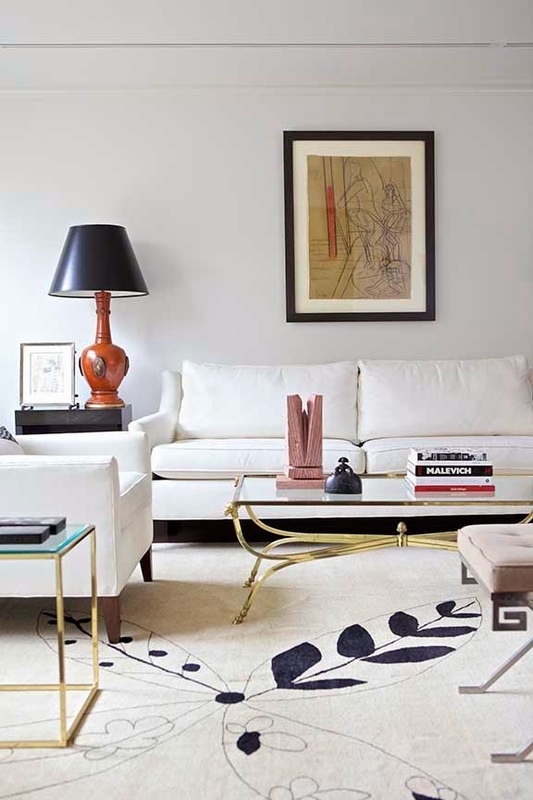 With her individual approach to pattern, palette and scale, her unorthodox, ultra—chic reinterpretations bring an unprecedented vitality to a centuries—old art form. Embracing authenticity as one of her hallmark values, Madeline’s aesthetic is defined by her use of techniques that favor hand over machine and tradition over automation. Rigorous and process—oriented, her design approach is one of open—ended experimentation, reframing and refinement. 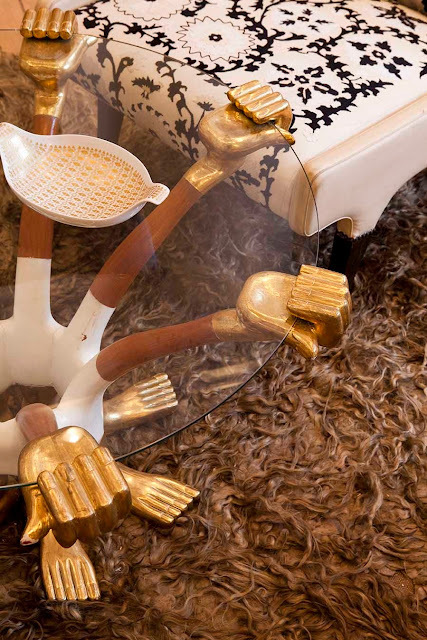 She continually works with artisans around the world, seeking out fresh and creative perspectives. Madeline continues to explore new possibilities for design through a diverse portfolio of creative relationships and concept—driven projects. 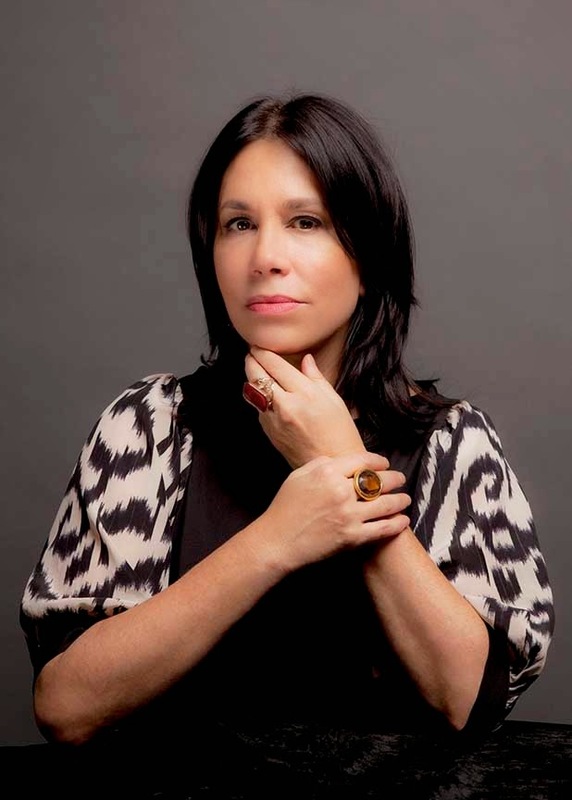 Her partnerships range from the Neue Galerie and the Brooklyn Academy of Music to collaborative collections with Manolo Blahnik, designer Soledad Twombly, and luxury retailer Barney's New York. 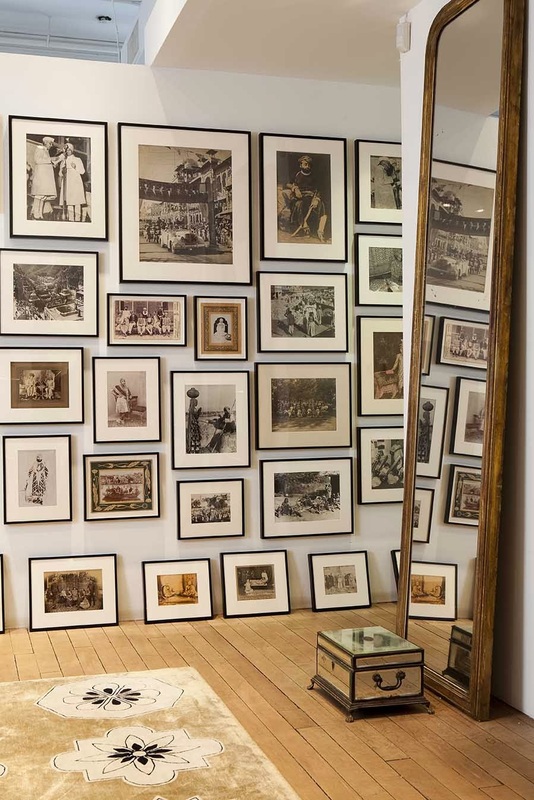 With an installation of hand screen—printed wallpaper at The New York Print Fair and curated exhibitions of her work at the Alberto Levi Gallery in Milan, Sebastian + Barquet in New York and Ralph Pucci International, her practice actively challenges the boundaries of art and design and defies ready distinction between the two spheres. 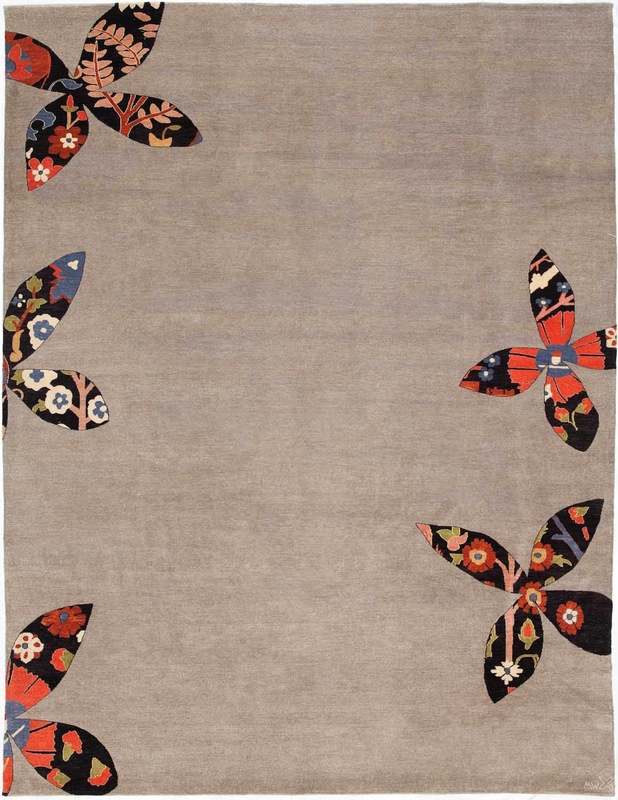 Madeline also maintains philanthropic aims and supports artisans in the communities in which she produces her work. She is a patron of Project Mala, a non-profit organization committed to building schools in the carpet weaving regions of India. Madeline works and resides in New York City. 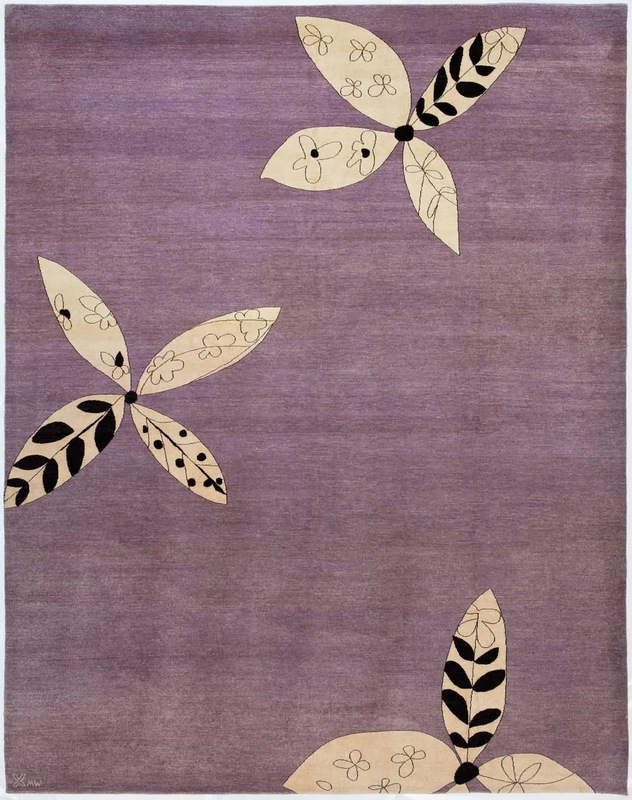 Madeline Weinrib has several different qualities of carpets in different price ranges. 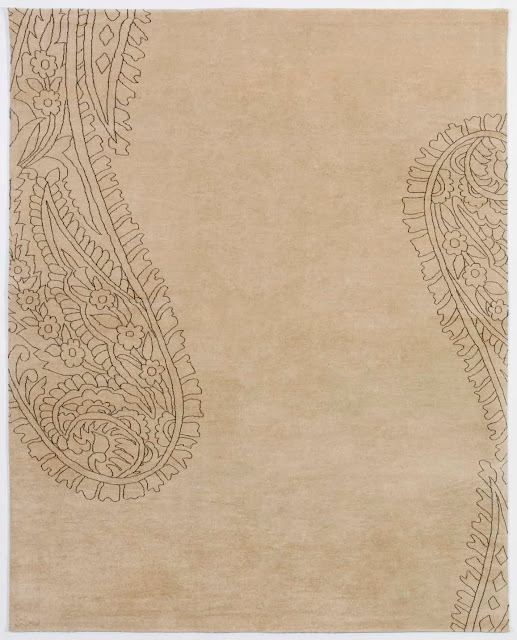 Cotton carpets are hand-woven in India and are reversible. Prices range from around $325 for a 3.5x5.5 ft to $1,400 for a 9x12. Tibetan carpets are wool pile, hand knotted in Nepal. They range from around $1,800 for a 4x6 to $8,000 for and 9x12. All of her carpets are available in bespoke colors and sizes. 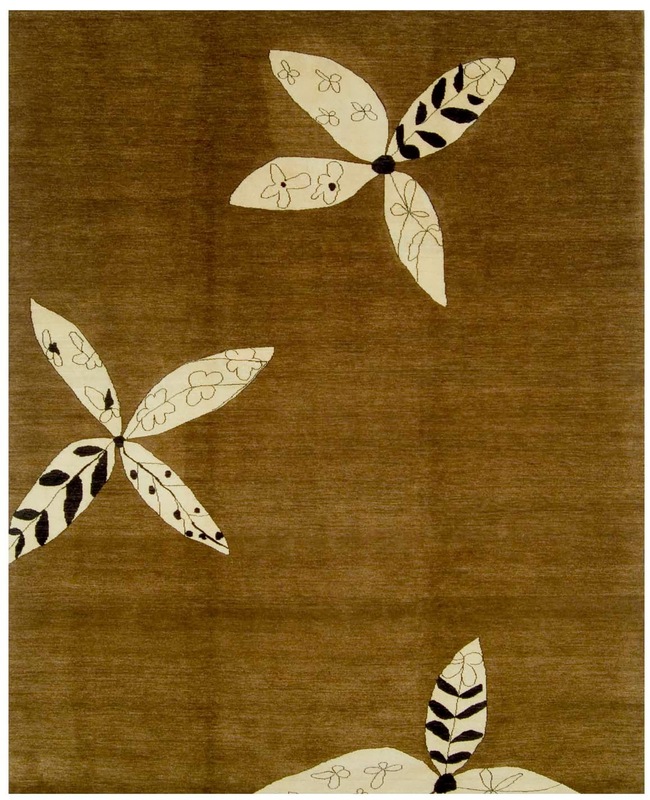 Her carpets are crafted only by skilled adults. 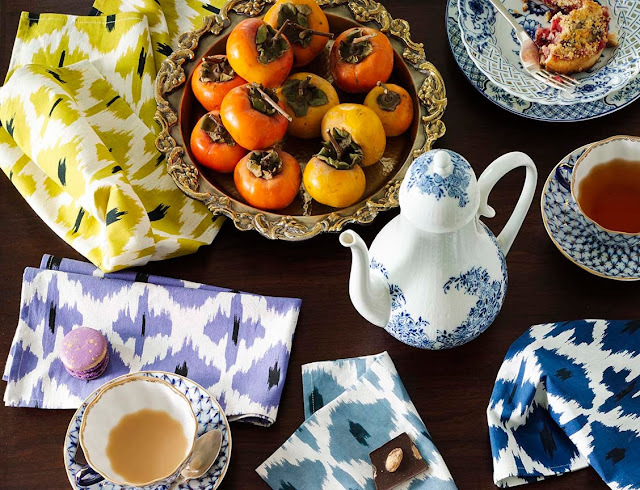 Madeline also offers fashions, chic Ikat accessories, and a range of decorative fabric pieces, including one-of-a-kind pillows. 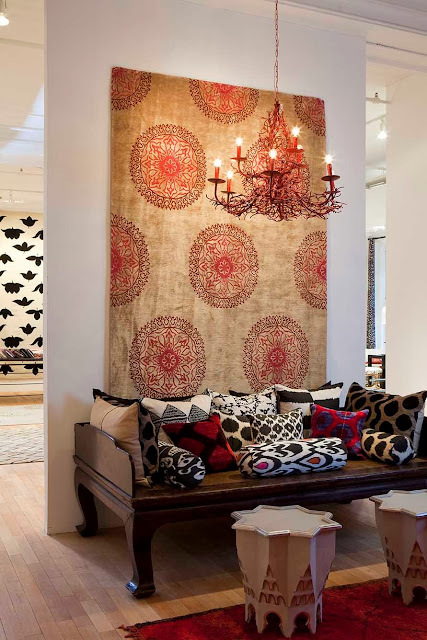 Madeline Weinrib working in her Fifth Avenue Showroom. Photo by Graciela Rossetto. All images of rugs and interiors, courtesy Madeline Weinrib, published here with express permission. I have a new project across the bay in Tiburon, so I hope to be one of the first customers in her new showroom. So happy you are working in Tiburon. Yes, this is so great that Madeline is coming to San Francisco. She loves California, and has always had a strong following here. I'm really pleased. She's a lovely person and all of her products are excellent. Climbers and Ramblers has stolen my heart. 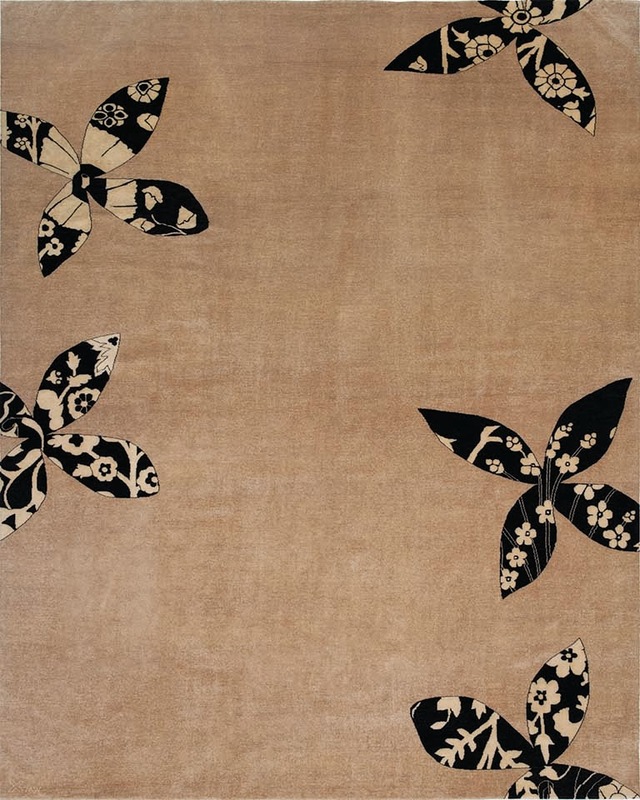 An Edo aesthetic transported to modern design. Thank you very much for another discovery for me!! How else would I learn about the designers and the styles in such a detail but not for you! Madeline is a true artist! I love that she stays true to her vision and creates such incredible designs.